Albert, a Sicilian saint, was born in Trapani. 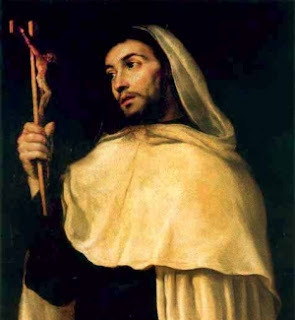 He entered the Carmelite monastery there at a very young age where he worked as a mendicant preacher, relying entirely on charitable giving for survival. In 1301 the city was under siege and blockaded. Responding to pleas for help, Albert celebrated Mass. As he finished, three ships loaded with grain ran the blockade. Saved from starvation, the siege was lifted.